Need another reason to look twice for motorcycles? Robert Peffley’s family is sharing one from the heart; a story told in videos that are part of the state’s Look Twice, Save a Life motorcycle safety campaign. 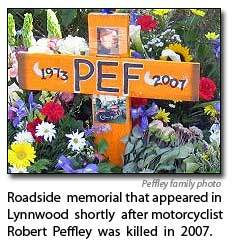 In the summer of 2007, Peffley was riding his motorcycle near his Lynnwood home when a car turned in front of his bike, killing him. Cathi Dykstra knows that the cause of her son’s death is a familiar one. So often, drivers involved in these type of serious injury or fatality crashes with motorcycles say they never saw the rider. Just days ago, on Saturday, June 25, a 41-year old Port Orchard man was killed after a car crossed the center line on State Route 3 just north of Belfair, striking him. Dykstra hopes that Pef’s story will reach people in a way that statistics and collision reports might not. Emotionally. “When (doctors) took me in to see him and there he was, and all the light was gone. But there he was. He was my baby boy…but not,” Dykstra shared on camera. After her brother’s death, Kimberly Peffley changed her career path. She now manages a motorcycle safety school, and calls her new job part of her therapy. “I feel like I wanted to protect anyone out there who wanted to ride because he loved it so much,” Peffley said. The Look Twice, Save a Life campaign is sponsored by the state Department of Licensing, State Patrol and the Traffic Safety Commission. On the heels of a fatal motorcycle crash Tuesday morning in Lacey, state traffic safety leaders say motorists and motorcyclists both have roles in sharing the road responsibly. 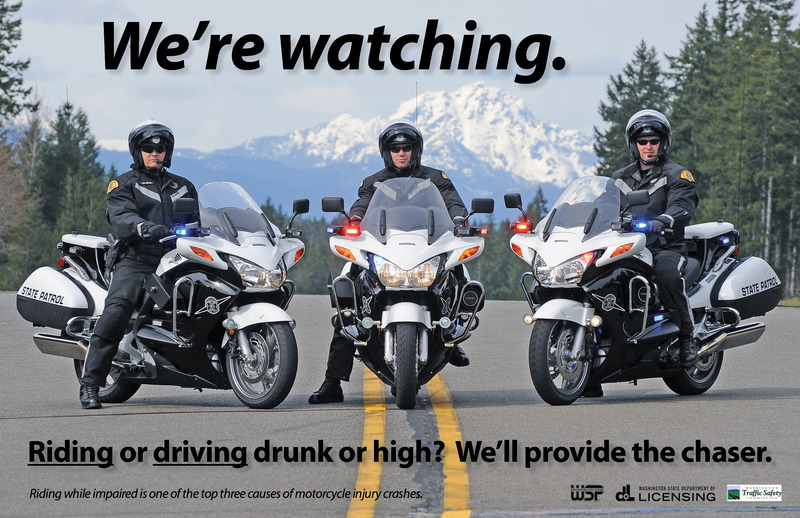 The Department of Licensing and State Patrol today released a public service announcement and new poster focused on reducing drug or alcohol impairment of riders – one of the top causes of fatal motorcycle crashes. Excessive speed, another top cause of fatal crashes, was a major factor in the Tuesday morning crash. The DOL video also speaks to the importance of riding safely and getting the necessary training and driver license endorsement to legally operate a motorcycle. To operate a motorcycle on a public road in Washington, riders must have a valid motorcycle endorsement on their driver license. Licensing will release another public service announcement next week, focused on the campaign’s theme, “Look Twice. Save a Life.” encouraging motorists to be aware of motorcyclists. That message will also be brought to Washington drivers through messages on the sides of transit buses, freeway message board signs and billboards. There are about 230,000 motorcycles registered in Washington, a 29 percent increase from 2003. The video can be seen at DOL’s website, or YouTube channel. Renewing online is fast, easy and secure. 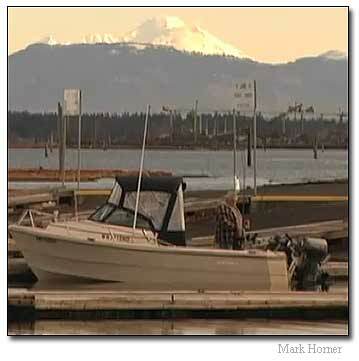 Boat owners who have not yet signed up to receive an email renewal notice for their boat can do that on the Department of Licensing website, too. You are currently browsing the Licensing Express blog archives for June, 2011.